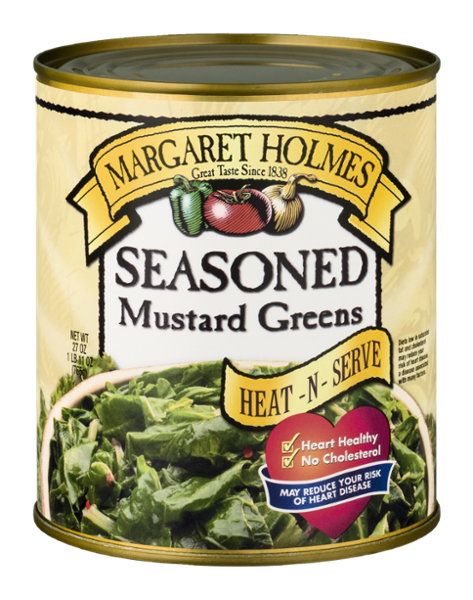 Margaret Holmes Seasoned Mustard Greens add a spunky and soulful taste to any meal. Like other greens, mustard greens have become an integral part of Southern cuisine. Slow-simmered in a unique blend of spices, our Seasoned Mustard Greens are quick and easy to serve right out of the can.